Let’s get the TL:DR version out of the way first: We’re not going to score our reviews anymore. The discussion of whether we should have review scores perennially arises in our editor’s room. Until now Laura has been our tiebreaker, and she was in favour of them. I very much understand the reasoning behind scores. I just don’t like ’em for Indie Haven. At all. I will explain. If you are a hurried consumer, you don’t always have time to read an entire review. If you are seeking to filter your potential purchases to create a list of “Probably Going To Be Good” having a series of numbers to sort through is a lot easier than reading a series of 1500 word reviews. There are always going to be review scores somewhere because people do find them useful. However, I doubt many people are coming to Indie Haven to read our numbers. We’re rather small still, and we do not aim our content exclusively at consumers. 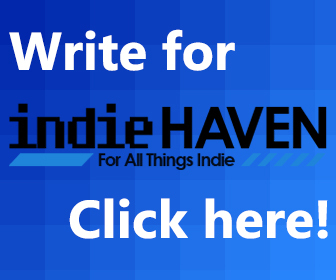 We are a haven for indie games, indie developers, indie writers and indie game fans. Not that any of these are more or less equal than the others, but our goals are multifaceted. We interview devs every week not just to find out information about their games, but also the development process. We support our contributors in their writing not just to have better and better content on the site, but also because we want to have more voices in our industry (and also they are great and wonderful people). There are countless sites out there that are just for consumers – and there’s nothing wrong with that! However, I don’t see the point in a smaller, more varied site trying to emulate the biggest outlets when it will most likely bring us no real benefit. If you merely want the score, you can get that anywhere. At Indie Haven, though, I want you to actually read what we write. We have so many talented writers here bringing their own viewpoints to their games criticism. We are volunteer run, we simply cannot always have regular and timely reviews up. We all have our own lives and jobs. I’d rather concentrate on our writers spending time to craft fantastic critiques. Also, personally I find review scores unnecessarily limiting. Laura found this as well in her recent review of Life is Strange. It was one of those games that could be great, or terrible, depending on your point of view. We all have the games that we love, but we can admit to ourselves are not really that good. How do we score that? We normally say that scores are not there to be an absolute comparison between all games. Each score is supposed to be interpreted as comparing a game against only similar titles. Let’s assume that we give Thomas Was Alone a 10/10 and Binding of Isaac a 9/10. They are two very very different games. Is TWA better than BOI? How can we say that when in nearly every significant aspect they differ. Similarly, we could argue all day about whether Binding of Isaac is really a 9/10. Indeed, my first instinct was to put in a sentence saying “THIS IS ONLY AN EXAMPLE PLEASE DON’T ARGUE ABOUT IT IT’S A FAKE SCORE FOR THE PURPOSES OF DISCUSSION OH GOD YOU’RE ALREADY TYPING OUT A COMMENT.” I’m not interested in those arguments. I’d prefer to avoid them whenever possible. They resemble more a flaming row between number stations than a reasoned debate over a game’s merits. I want us all to talk more about the games themselves, [sarcasm]which is why I’ve just written 600 words on why I don’t like review scores [/sarcasm]. In the future maybe we can build ourselves up as a place where players, developer and writers can come together to read about cool and interesting games. So from now on we’re not going to have scores under our reviews. Just in case you’ve just scrolled down to the bottom I’ll say that again: WE’RE NOT GOING TO SCORE OUR REVIEWS ANYMORE. 8/10. I will keep saying it. The straightforward reviews and dissections of games here are pretty uncompelling. Not because of the way they are written, it’s just not interesting subject matter in the first place. You are missing an opportunity to put up truly meaningful stories, like what about the people that made the games, and their process? I guarantee if you do that your potential audience will swell. Games are a dime a dozen. Don’t just drop the review scores, drop the reviews period, problem solved. That seems like not as much an argument to drop reviews as to go more in depth with them and to also have other supplemental pieces like the interviews and such you mention. I don’t know. I think people have very limited time to read things, and there should be limited space on any site for things to read. Reviews are really reductive and not all that interesting. It’s fine that you played the game, but it’s not the best use of an aspiring writer’s time to sit around recounting the petty details of the game they just played with. There aren’t sites that I know of that really stay on the beat of what DIY people are doing with games. That’s a whole world that I think would be ultra compelling. I realize it’s way more difficult to write this kind of a piece versus a “game I just played” review, but it’s something this site is in a perfect position to aspire to. I find the podcasts here pretty much unlistenable. Don’t worry, I find almost all podcasts unlistenable wastes of time for anyone with the awesome opportunity to inhabit this universe. I think the site here should take the podcast interviews and treat them more like “Story Corp” than the actual meat of the website. The interviews are there for anyone who wants them. But interviews are not really compelling reads for anyone who isn’t just obsessed with the interviewee looking to hang on their every word. The site needs to take all of those interviews and convert them into highly readable pieces about the lives of DIY game developers that altogether forms a kind of tapestry that gives you the idea of what is going on in the scene without having to do the kind of research that journalists do. That said I have to scold just about every piece on this site for usually being acontextual. Readers shouldn’t have to go offsite to have questions that are raised by the pieces answered.